When you get ready to purchase a new Machine Tool for your enterprise, don’t forget the training. Machine tools are the workhorses of any company that manufactures in the metal working industry. The machines have been able to keep up with demand in the growing global economy. 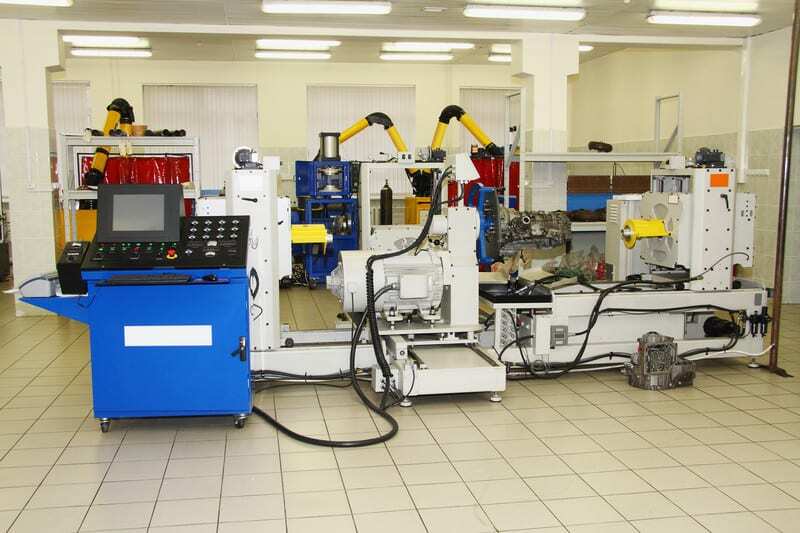 The increased productivity is from the evolution and advancement in the technologies of machine tools. The machine design has become more stable and reliable, able to withstand greater forces while maintaining tight tolerances. The spindles have become faster, cooler, and stronger. The motion control systems can calculate faster handling complex tasks and geometries in less time with more horsepower and rigidity. However, it takes skill to get a machine tool running at its optimum performance level. Training is very important when purchasing a new machine tool. The learning curve will be less when you attend a well-structured training class on the machine tool. Training is where you can learn new skills that you might not have been exposed to previously. Most machine tool companies offer training when purchasing a new machine. Don’t settle for less, a machine tool is not cheap, take the training and get a greater return on your investment. Is the training free or is it an additional cost? Is the training held at the customer location or at the vendor’s site in a classroom with a machine? Is the training a couple of days or a couple of weeks? Is the training a one-shot deal for a couple of individuals or is it free for a lifetime with as many employees you want to send? Those seem like reasonable questions anyone would ask; however, they are easily overlooked. The development of those questions come from my experiences in the purchasing process of machine tools. Here are a couple examples from my experiences with different machine tool training programs. I have had excellent experiences with companies that offer training at their site for a period of a few days minimum. Those types of training programs offer the most education on the function and usability of your purchase. The training is broken into chunks over a period of days. The program is structured and has real value. The training will typically cover the machine components, control functions, how to operate them safely, effectively and efficiently. The training then moves onto programming the machine tool, covering machine tool specific macro codes, ISO or conversational coding and safe program structure. Over the period of training, you will have homework to complete, like writing programs to machine parts in the lab. The final portion of the training ties it all together with hands on set up and operation of the programs you created for the machine in the lab. That type of training is the best, for everyone, it is a great customer experience. On the other end of the spectrum is the poor training. I have experienced poor training too, it usually takes place at the customer site where the machine has been delivered. The training is expected to last a couple of days after the machine install. This method of training is frustrating, has no structure, and the individuals giving the training aren’t trained how to teach effectively. The training will leave big gaps in the operation of the machine, because the training is more of a Q & A session and if you don’t ask the right questions you don’t get the right answers. This is the poorest customer experience. The stress involved in not learning how to operate the machine properly is overwhelming. Because when the training is completed, you know your time will be spent trying to figure out how to operate the machine by searching through many machine operator, programming and user manuals. This creates a very big learning curve, it is not efficient. Remember, take the time to investigate what type of training will be included with your purchase. Maybe even ask for the training up front before the purchase of the machine. The type of training you get will determine how quickly you will be up and running and how profitable your purchase will be. A machine tool company that understands the value of training and executes an effective training program will be a good partner in your manufacturing experience.